Chris (Hristos) Karabatsis was born in Pirgos, Greece, but grew up in Chicago. He came to the United States in 1977 at the age of eleven. At 16, he joined Apollo SC in the national league in Chicago and led the league in scoring for two consecutive years both indoor and outdoor. At Senn High on Chicago's north side, Chris led his team to a public league title and a third place finish in state his senior year. Chris attended Aurora University and in his freshman year he led the team in scoring, and continues to hold the most goals scored in one game, and was on the team with the most matches won in a season with the Spartans. Chris finally fulfilled his childhood dream to play professional soccer when he signed with Greek-American SC, a team that was recognized as the premier team in the State of New York. During his three year stay in New York he led his team to two league titles and one state cup. While in New York, a European scout spotted Chris and he went to Panathinaikos FC in Greece, in the first division, and one of the twenty top teams in Europe. Chris went on to stay in Greece for the next fourteen years. He played with four different professional teams during his career. His abilities on and off the field, hard work and dedication made him one of the most likable players in the country. After a long and successful career that included many international matches all over Europe, one Greek league championship, and one league cup championship, Chris’ passion for the game and love for kids inspired him to start a new career as a youth program coordinator and coach. 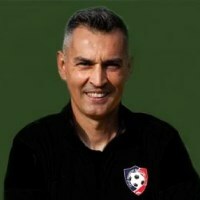 In 2002 he came back to the United States and started coaching and training for Future Pros Inc, and he was also the Director of Coaching for the Chicago Freedom Soccer Club in Frankfort, IL. 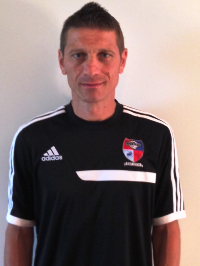 Chris has been the Director of Coaching for the Darien Dynamo Soccer Club in Darien, IL since 2004. In the spring of 2010, Chris was hired as Director of Soccer for Lincoln-Way Soccer Club, thus focusing on both clubs to instill into the players a great skill set and love for soccer. Later, in the Fall of 2010, Chris worked with his high school boys to start the new United Soccer Academy, bringing 5 teams into soccer competition. 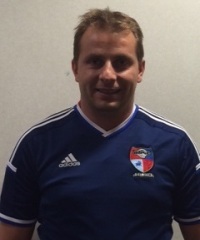 By the Spring of 2011, Chris was named co-Director of the newly formed USA club with the merging of the Darien Dynamo and Hinsdale Hawks soccer clubs. Chris’ passion for the game and love for kids is displayed in all of his training sessions. 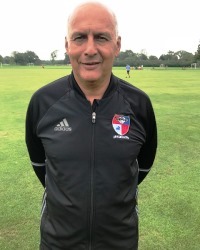 His goal is to teach young individuals all the great things he learned throughout his career and to help players become more passionate with the game of soccer, just as he was during his long and successful career. 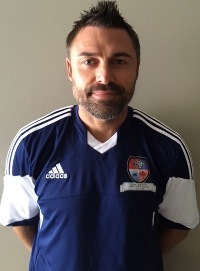 Chris Holds a USSF "A" National Coaching License. Worked with 3 different travel Clubs in LA winning several championships including San Diego Surf Cup. My dedication to soccer and care for kids is something I convey in all of my training sessions. The overall goal is to develop every player and share all the important parts of the game that I learned throughout my playing and coaching career, both in Europe and US. I have played in Europe for 16 years, with U Cluj and CFR Cluj. Also had stints with Columbus Crew 1997/1998. At the same time I coached Columbus Academy Varsity team to an outstanding .91 during 1997 fall season. I have been teaching, consulting, training and coaching at travel club and College levels in Chicago land area since 2003 with: Darien Dynamo/United Soccer Academy, Wizard FC, sharing my passion and love for the game, developing and inspiring players from 6 to 18 years old as well as College men and women. I like to focus my training around the long established pillars of soccer development: technical, tactical, physical and psychological. I rejoice with every player that reaches excellence and mastery of skills, the overall understanding and passion for the game. Also a huge priority is developing the excellent characteristics of team playing that will last a lifetime. I encourage everyone to set high standards for themselves, and to understand that achieving those heights is possible only through persistent and dedicated training, a full commitment to the game and a relentless passion for the game. These characteristics intertwined with integrity, courage, and purpose are keystones that will make every individual successful in all avenues of life. I hold a USSF B license since 2008 and an International Sports Manager License since 2010. Looking forward to share and to see everyone playing the wonderful game of soccer. 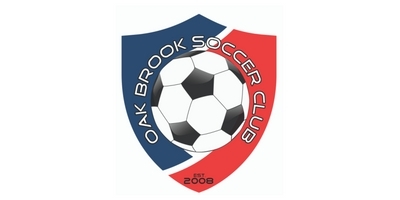 Coach Dario Ayala joins OBSC for the 2018/19 year coaching the 2006/2007 U13 Boys Red Team as well as assisting with other OBSC teams.